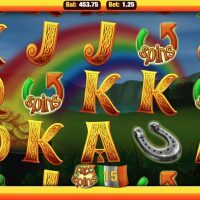 Shamrock N Roll will take you to ends of the Irish countryside beside towering hills, huge lakes, and, of course, a pot of gold at the end of the rainbow with this Rainbow Riches inspired slot. “Top of the morning to ya!” squawks the little, troubled yet happy-looking Leprechaun metaphorically when you land on Shamrock N Roll. 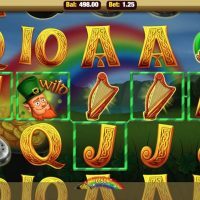 Just like the classic, world-famous, Rainbow Riches this game incorporates the Irish theme into the game very well, and even the detail on the traditional slot symbols has Irish scripture on it. 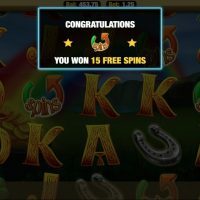 However, when compared to Rainbow Riches, the whole game is lacking. 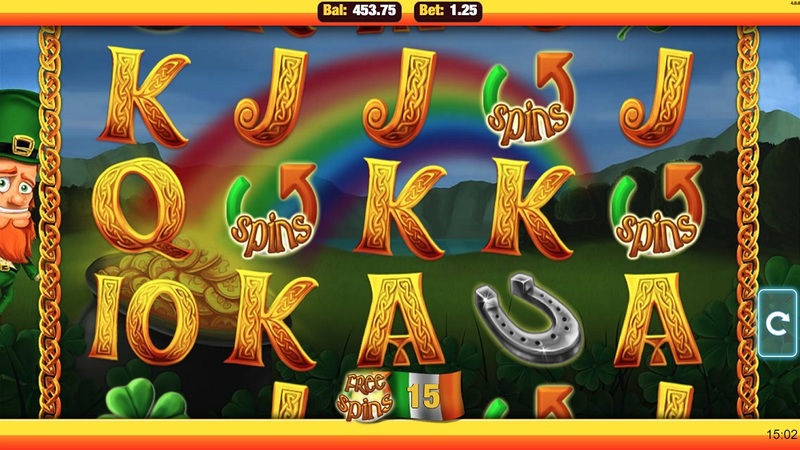 Whereas Rainbow Riches has two great bonus rounds, Shamrock N Roll offers nothing of the sort, which definitely marks this game down against its competitor. But what it does have in its favour is the cool 3D graphics and the smooth transitions which are very good, though the sound effects are glitchy which makes this game much more enjoyable when muted. Every symbol is some type of Irish cliche, with a Shamrock ‘n’ Roll badge, a pot of gold, a harp, a four-leaf clover, a horseshoe, plus the standard A’s, K’s, Q’s, J’s, and 10’s. 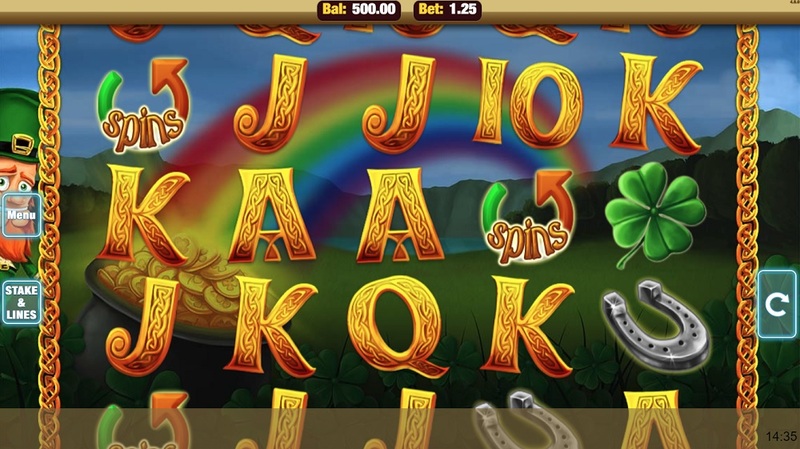 The best symbol to get is the Shamrock ‘N’ Roll which returns odds of 1000/1 if you hit 5 in a row. 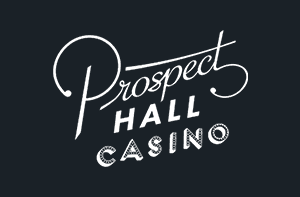 The next best symbol is the pot of gold, then the harp, then the clover, then the horseshoe, then the traditional slot icons. 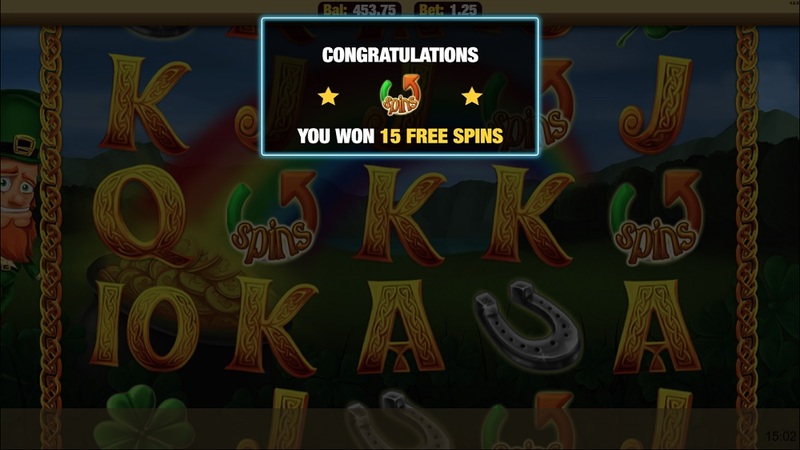 There is no bonus round as such on Shamrock N Roll as such, but there is an opportunity to win free spins when you hit three spin symbols in any of the five reels. 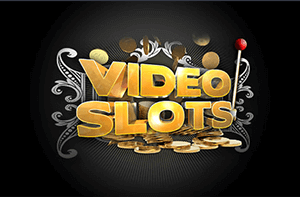 You can bet on between 1 and 25 lines on this slot, and your total bet can be between 1p and £25. The house edge is a decent 3.7%. There is no autoplay, which is a bit annoying for those who are fans of the feature. When you think of Irish Rock N Roll you think U2, not Shamrock N Roll. Does Shamrock N Roll compare to U2? No, obviously, but it’s a decent game, and it will probably divide its audience less than U2 do. 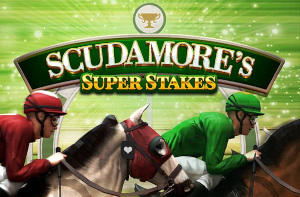 This slot offers really cool visuals, a smooth gameplaying experience, and has really funky symbols, plus there is a massive range of betting options and a very favourable house edge of just 3.7%. 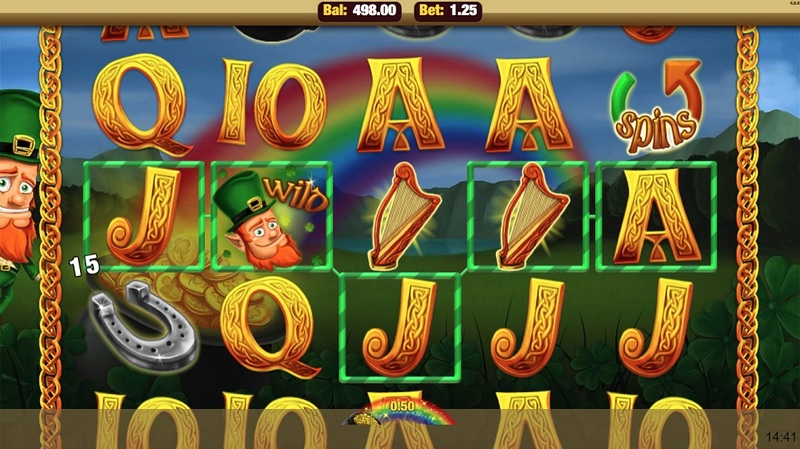 Obviously, Rainbow Riches is the King of the Irish slot world currently, and though this game doesn’t quite live up to that standard, it is pretty good in its own right.